Error in UseMethod("do_"): no applicable method for 'do_' applied to an object of class "c('double','numeric')"? How to fix large scrapped data values when using rvest? Is there an efficient one-liner to run a function for each group of factor in a data.table? I am relatively new to the world of Python and trying to use it as a back-up platform to do data analysis. I generally use data.table for my data analysis needs. I have spent three days trying to reduce the file size (I was able to reduce the size by 89%), adding breakpoints, debugging it, but I was not able to make any progress. Surprisingly, I thought of running the same group/aggregate operation in data.table in R, and it hardly took 1 second. Moreover, I didn't have to do any data type conversion etc., suggested at https://www.dataquest.io/blog/pandas-big-data/. 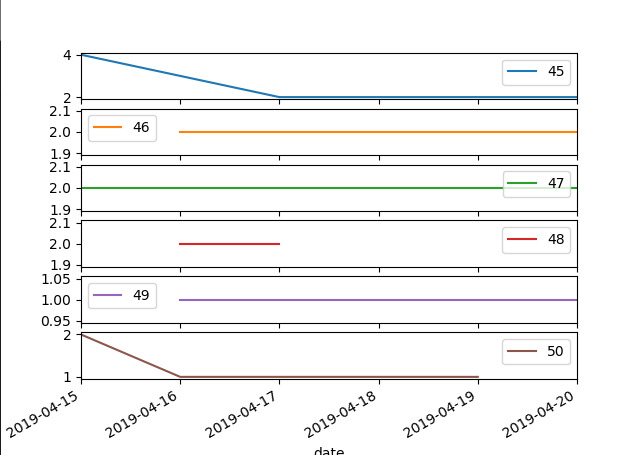 I also researched other threads: Avoiding Memory Issues For GroupBy on Large Pandas DataFrame, Pandas: df.groupby() is too slow for big data set. Any alternatives methods?, and pandas groupby with sum() on large csv file?. It seems these threads are more about matrix multiplication. I'd appreciate if you wouldn't tag this as duplicate. #optimize file: Object-types are the biggest culprit. #Float type didn't help much, so I am excluding it here. The code crashes in above .groupby operation. Can someone please help me? Compared to my other posts, I have probably spent the most amount of time on this StackOverflow post, trying to fix it and learn new stuff about Python. However, I have reached saturation--it even more frustrates me because R's data.table package processes this file in <2 seconds. This post is not about pros and cons of R and Python, but about using Python to be more productive. I am completely lost, and I'd appreciate any help. I have a 4-core 16GB RAM Win10x64 machine. I can provide any details needed by experts. Error in UseMethod("do_"): no applicable method for 'do_' applied to an object of class "c('double','numeric')"
Apologies again if there's a clear lack of usable info here, R isn't my strong suit by any stretch of the imagination. I started to use ioslides presentations from RMarkdown - it's a great tool. However, after processing my files with knitr, the html output is not dynamic at all. When I resize my browser window, background images and titles just vanish since the content does not seem to have a relative position. How do you solve this (if there is any practical solution). This was how the pages look like when I convert to a dataframe. The columns name are very long and there are several of such columns. (New to coding, by the way) I'm using Python3 to calculate a few parameters for a set of stars, which for my purposes differ only by their number, i.e. John1, John2, John3, etc. I want to create a dataframe with longitude, parallax, extinction, etc. Instead of creating a dataframe by listing them all, I'd like to be able to say JohnX and cycle through all values of X, as I may have thousands to do. Is this possible? I am trying to solve this problem as effienctly as possible and I don't know if what I got till now is the best option. Do you guys have any alternative? The output I get is exactly what I want (actually it would be nice if the column names wouldn't repeat for each function), but I am wondering whether I can find a better way to do it (where I do the for loops). This is a speed optimization question. Here is my sample data. The real data has over 100k rows and >300 columns. Here for the tgt1 column, I get what I want. For example, for the NA at 3rd row, the closest flanking non-NA values are at 2 and 4, and so on for others. My issues is that the sapply are very slow. Imagine running this for >300 columns and 100k rows. In current form it takes over few hours to finish. Ultimately, when these positions are found, then they are used to index values from ref column to compute the missing values in tgt1 and so on columns. But that is the topic for another time. Is there any way I can make it faster? Any data.table way solution for it. Edit: All great solutions, here is my benchmark, and you can see all proposed methods worked lightning fast compared to my original sapply. I select lapply, not only because it is the fastest but also because it aligns well with my current code syntax.